I know I’ve said this about ten thousand times on here, but seriously, holiday season is my favorite season. It makes me squeal with delight, like I’m five years old again. 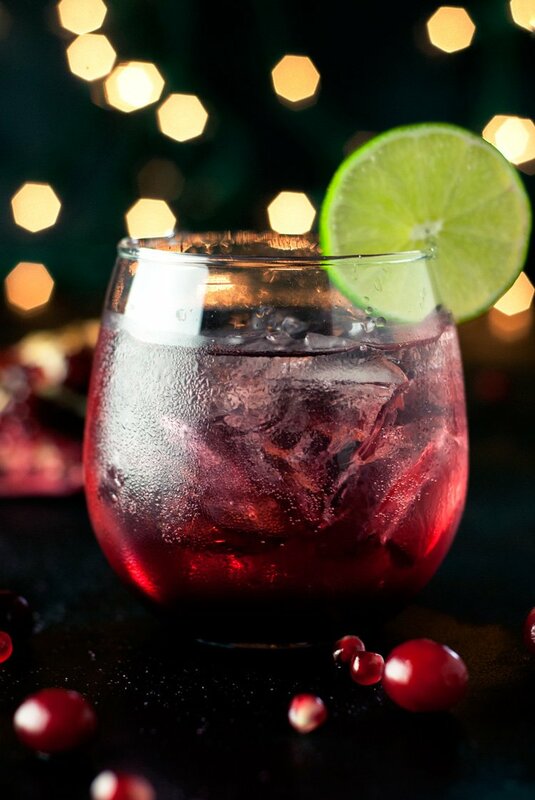 Between the giant Thanksgiving dinner with all of Rudy’s fam, to Christmas in Minnesota with my own, there is much celebrating to be had, especially when I break out this Pomegranate Lime Spritzer. 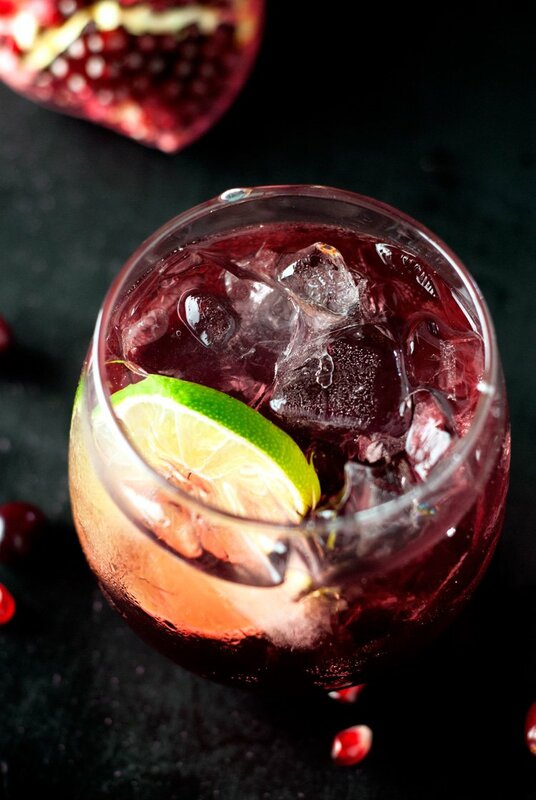 Seriously, this pomegranate lime spritzer is perfect for so many reasons. One, pomegranate. I mean, do I really need to say more about that? Pomegranates are awesome. Two, you can make this drink with or without alcohol, so it’s VERY party friendly, and; three, it has 7UP TEN® in it! You’ve got that bubbly yum that you can imbibe without all the guilt, which is great when you’re eating an entire cheesecake and those cookie exchange delights. Wait, I wasn’t supposed to know about that? I won’t tell, I promise. I eat them all as well, you know, in a closet, hiding from the rest of my family. My cookies. My drinks. I know, I am terrible at sharing. I am seriously looking forward to serving this drink to everyone around the dinner table this Thanksgiving. It’s bubbly, it’s deep red, and it sparkles just like all the sparkly lights we put up to celebrate the season. 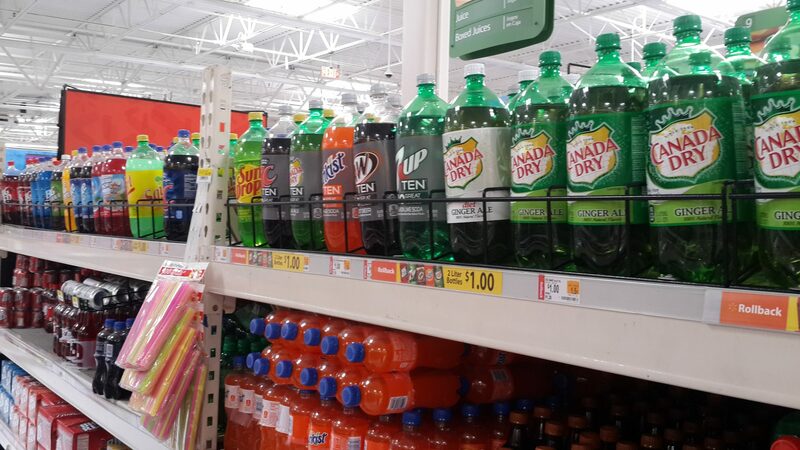 It’s time to break out the 7UP TEN® and break up with the guilt. Enjoy the holidays, my friends, because I certainly will! 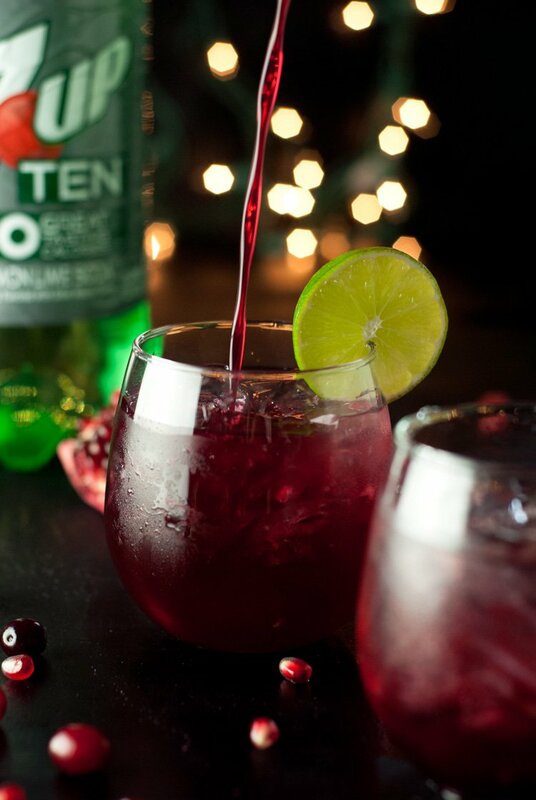 Head to your local Walmart like I did and use this coupon to save $1 on TWO (2) 2-Liter bottles of 7UP TEN®, A&W TEN®, Canada Dry TEN®, RC TEN®, Squirt TEN™, or Sunkist® TEN™, then get to making this pomegranate lime spritzer! 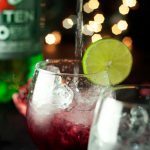 Then, once you’ve imbibed with me, be sure to vote for your favorite TEN™ recipe and check out these awesome mocktail recipes! 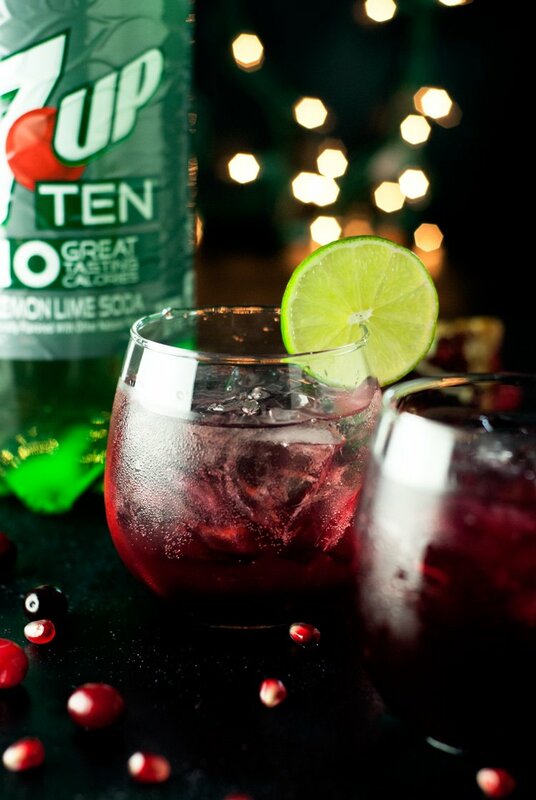 Tell me which TEN™ recipe you’d like to try next! 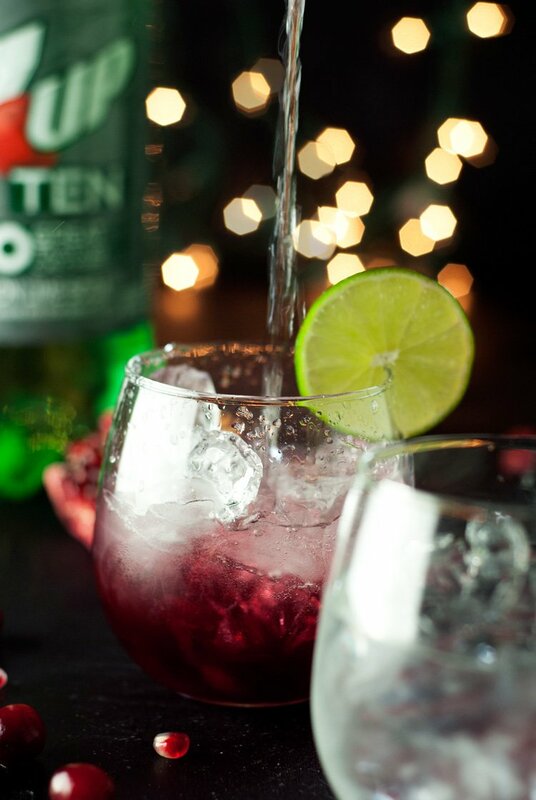 In a highball glass filled with ice, add the pomegranate juice, followed by the 7UP TEN and fresh lime juice. Gently stir and enjoy! *For an alcoholic cocktail, just add 1.5 oz of your favorite vodka! STUNNING photos! everything about this just puts me in the holiday mood! You're going to be in Minnesota over the holidays??? Me too!